So, I finally figured out, sort of, how to download movies by bittorrent, which is a horrendous headache I wouldn’t recommend to anyone except my goodness the things you can find. Expect more absurdly rare stuff to feature here soon. Now, a Fever Dream Double Feature. Since I’ve been reading a lot about the recent DVD release of MOONTIDE, it was a delight to snap up a copy. 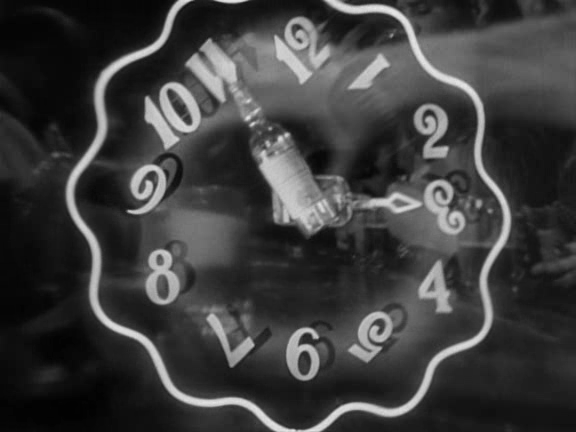 Written by John O’Hara and directed by Archie Mayo after Fritz Lang dropped out due to complications in the bedroom (both he and the film’s star were sleeping with Marlene Dietrich), this was a star vehicle for someone who was not yet a star in America, a delicate operation designed to introduce Jean Gabin to the US. Gabin was temporarily in residence stateside as his native homeland was enduring the German occupation. Introducing a star is a tricky proposition, but the Hollywood studios had plenty of practice. 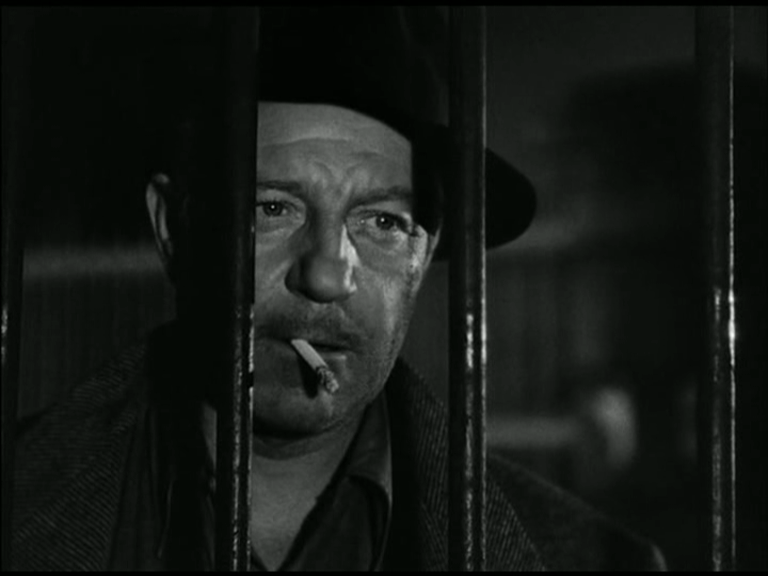 They must have sensed a challenge with Gabin, however, since he could hardly be introduced as a newcomer and built up in the public consciousness through small supporting roles — he had to be given a vehicle that showed what he did as a star, his distinctive persona. One problem with this was that Gabin’s French films have distinct qualities that do not translate, or could not be translated, into Hollywood terms. The fact that Gabin played an army deserter in QUAI DES BRUMES (a film which Jean Renoir reportedly blamed for France’s early defeat in the war) gives some clue to this. Nevertheless, MOONTIDE tries to reproduce the Gabin persona in a new context. 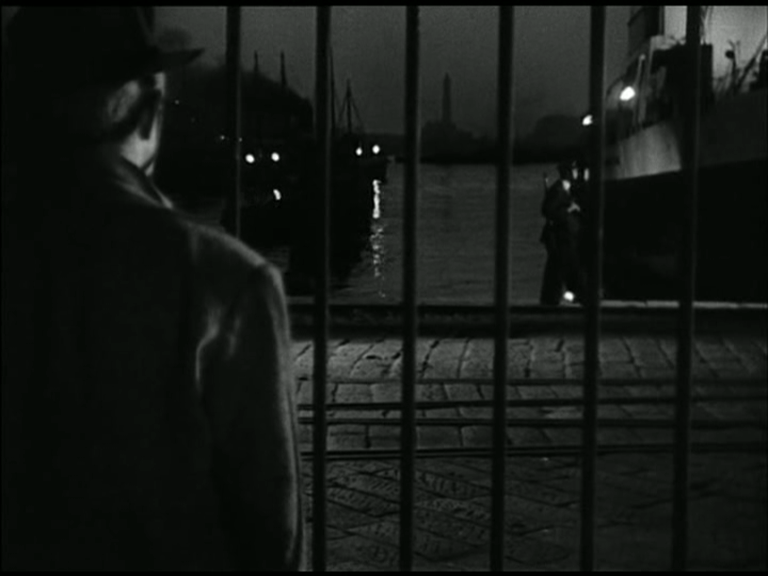 Borrowing its foggy dockside setting from QUAI DES BRUMES, and giving Gabin a dog as in that film and fits of homicidal rage as in LA BETE HUMAINE, the makers cast him as a drunken dockworker, an undependable, vacillating kind of character who often does the wrong thing, but cannot be relied upon to do so. Not a type that was regularly welcomed by American audiences. The poetic realist school of French cinema was driven by fatalism, even more so than film noir (no wonder, if this was the national mood, that the country crumbled in the face of invasion!) and so its anti-heroes are regularly ineffective, passive, fickle, misguided, discouraged or just inept. 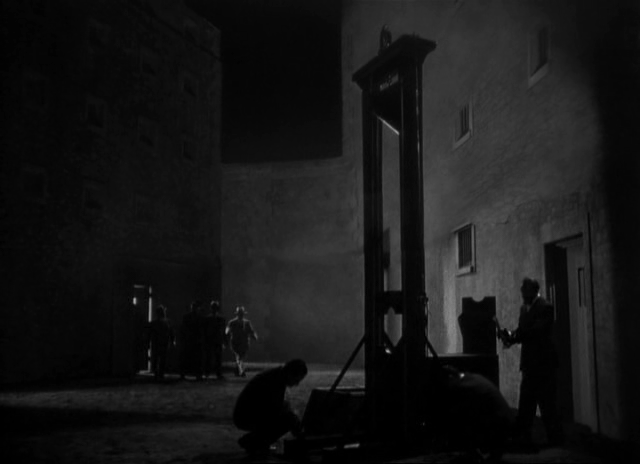 This works like gangbusters in the French films, but has serious repercussions when combined with the Production Code’s insistence that vice must be punished and virtue rewarded, and must have represented a challenge to audiences used to the easy morality plays of the standard Hollywood productions. Nevertheless, MOONTIDE, as photographed by Charles Clarke and Lucien Ballard, is visually stunning, touching, and endearingly peculiar. Mayo has an odd habit of cutting directly down the line at the action, jumping from medium-shot to medium-close-up, without any apparent dramatic purpose, but he only does it a few times and otherwise his work is unobtrusive and effective. The superb lighting carries the film otherwise. Gabin is excellent — I’d never heard him speak English before! His accent isn’t too strong, although his friend Nutsy (Claude Rains) unfortunately sounds like “Nazi” when Gabin calls him by name. Whether it’s from taking her cues from Gabin’s simmering underplaying, or because Mayo’s got her tightly under control, or whatever else, Ida Lupino is spectacularly effective, a very modern, muted kind of performance that holds everything back for the key moments. And I like Ida anyway. She’s doing her natural cockney accent with a soupçonof Californian, and that seems to help her attain an unusual level of naturalism. We care far more about her than we do about Gabin, which works fine for the film. Thomas Mitchell and Claude Rains are as excellent as one would expect, although Rains doesn’t quite get into the swing of the underplaying — he’s always very measured and clipped, and has a formality that’s perhaps very slightly out of keeping with the general air of relaxation. Mitchell, looking like a schoolboy whose suddenly SPROUTED, makes a weird and memorable villain, although by characterising him as a weak parasite, the script robs him of the chance to add serious dramatic tension to the meandering plot, at least until the end. Mistake One: introducing Gabin drunk, and then hungover (there’s a magnificent expressionistic drunkenness montage) means it’s a very long time before we get to see him as he naturally IS. It’s a striking entrance, struggling with his dog leash and demanding a pint of whisky, but it takes a definite chance. Thomas Mitchell in this scene appears more like a comedy sidekick than a villainous blackmailer, and he appears to have no hold on Gabin whatsoever, which has fairly disastrous effects on the narrative tension. He can only reassert himself by towel-whopping a naked Claude Rains — the movie has driven him to this extreme! 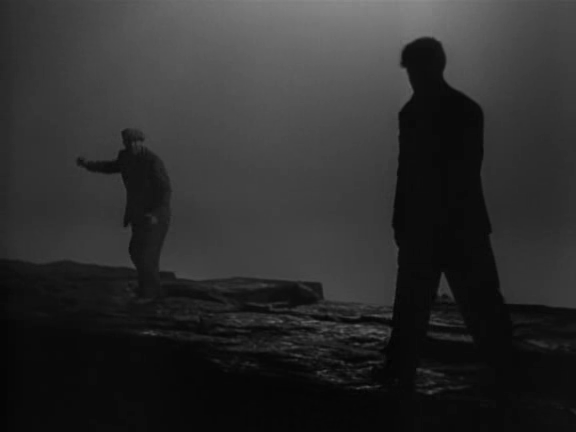 Mistake Two: Gabin strips to the waist to rescue Lupino from drowning, and the sight is awe-inspiring. No Hollywood leading man was this ripped. He makes Johnny Weissmuller look doughy and wan. The mistake was in not having him partially denude every twenty minutes, on the slightest pretext. Audiences wouldn’t have been able to believe their eyes. Wives would have regarded their husbands in a new and dimmer light. Gabin, clothed, always has something of the schlub about him, albeit a strangely intense and fiery schlub, so this stripshow is particularly startling. He never did it in France, that I can recall, but had he done so in Hollywood he would have eroticized the hell out of the place. The sexual revolution would have started early. Mistake Three: I can’t really call it a mistake, because looking at it now, MOONTIDE gains a great deal from it’s jerky plot movement and aimless characters, but jettisoning some of this gallic ennui and injecting some good old American THRUST would probably have worked wonders at the B.O. But I’m kind of glad they left it like this, a fogbound peculiarity, out of time and place. 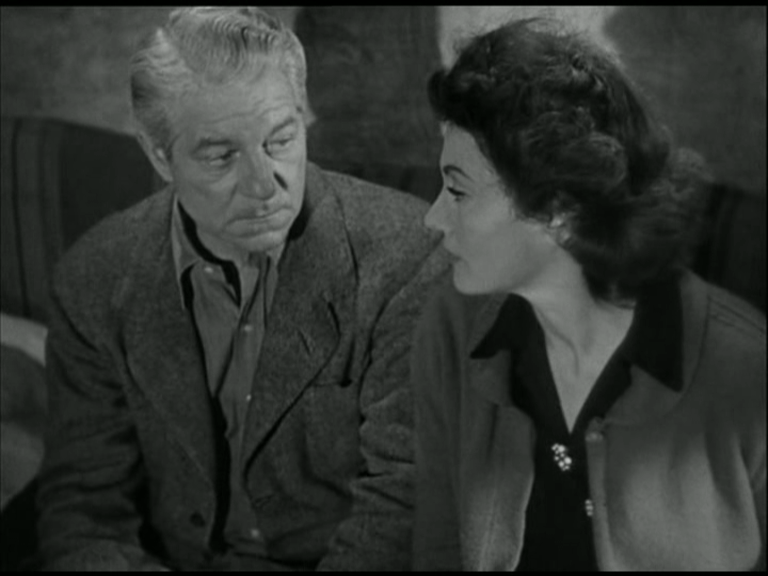 THE IMPOSTOR, directed by Julien Duvivier from his own story, was Gabin’s second assault on the US market. Weirdly, his accent is stronger and he’s harder to understand in this one — presumably because Duvivier, as a Frenchman himself, was less able to troubleshoot on matters of pronunciation. It’s no big problem though. Gabin plays virtually the reverse of his QUAI DES BRUMES deserter, this time being an escaped convict in conquered France who inveigles his way INTO the army, borrowing the uniform and papers of a slain war hero. Gabin’s introduction is splendid, as he plays an arch-cynic as indifferent to his own execution as he is to the policeman he’s killed in a riot. As the German bombs drop in this distance, he muses, “Makes the guillotine seem a little old-fashioned, no?” Soon those bombs, acting on behalf of fate, have freed him. 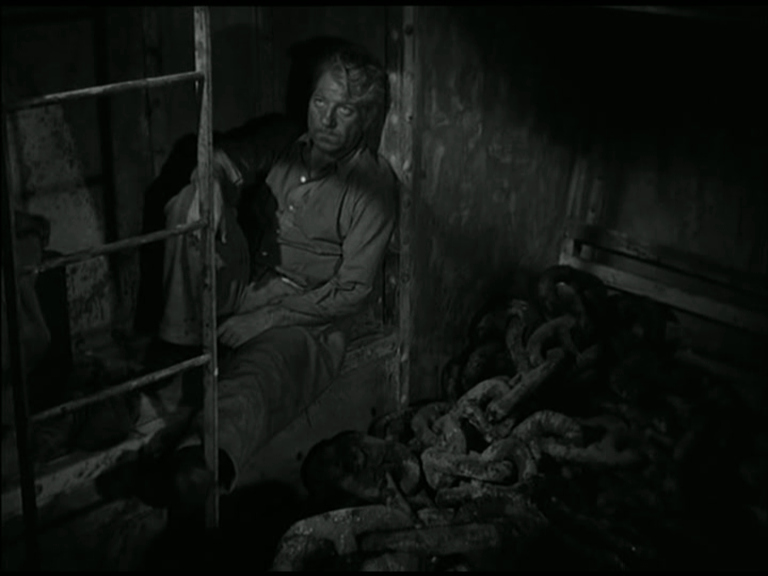 The film bogs down slightly as Gabin escapes with the remnants of the French army to colonial Africa. Now that Gabin has to keep his cynicism to himself, in order to blend in, he’s less fun for us to be with, and the plot seems to lack momentum. There are also unfortunate ironies: “This is French soil,” enthuses commanding office Richard Whorf, trying to inspire his men, conveniently overlooking the fact that this tropic jungle is French only by the same law that says Paris is now German. Duvivier’s attitude to Africa and the Africans (it was at least continent he knew, having filmed there several times) is a recurring problem in the film. A particularly beautiful scene, full of tightly crammed deep-focus figures sheltering from a monsoon at Christmas, shows Gabin’s comrades reminiscing over Christmas in France, while he fumes at his lack of any such warm memories. 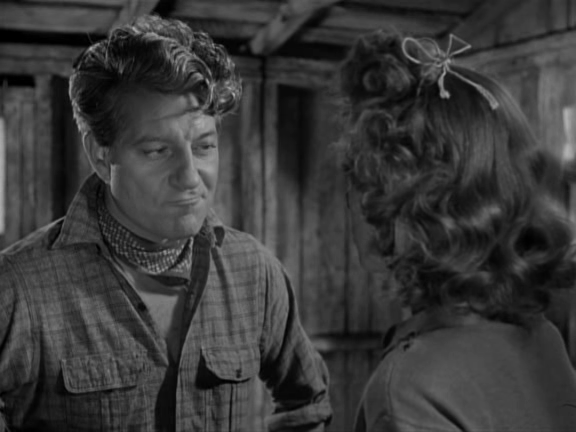 This section of the story deals with Gabin’s gradually bonding with his comrades (a banker, a farmer, an actor). Not only does he reconnect to humanity, but to life and a sense of his homeland. There’s almost a supernatural sense of him being taken over by the identity he’s adopted. This is one of the film’s greatest strengths: its poetic realist weirdness, which undercuts the flag-waving message with fatalism and tragedy. The Production Code makes it pretty clear that Gabin will end by dying for his country… what’s surprising and rather grim is how he ends up dying without an identity. Meanwhile there’s more awkward and unattractive racial attitudes to deal with: the ex-actor proposes setting up a business after the war to sell perfume and makeup to the Africans (because Africans smell bad and are ugly, see?) which in a Clouzot film would just be a sign of how obnoxious everyone is, but here is jarring since we’re supposed to find these guys appealing. A woman shows up and everybody makes a fuss. “A black girl?” asks one fellow, roused from his sleep. “Do you think I’d disturb your beauty sleep over a black girl?” It’s quite credible that Frenchmen of this period would talk this way, but it’s not clear that Duvivier doesn’t share their prejudices. Not that he should announce his disapproval in some obvious way, but the fact that he includes such sentiments in what is still a piece of war-time propaganda is disturbing. The moment that actually becomes interesting, as opposed to just uncomfortable, is when the men stand around and listen to La Marseillaise over the wireless. Actually a moving and powerful scene, and I’m normally highly resistant to any appeal to patriotism, especially if it involves the suggestion of laying down one’s life — one’s single, fleeting life — in the service of the immortal state. After cutting from closeup to closeup of the emotional soldiers, Duvivier actually ends on a group of Africans, listening with unreadable expressions. Either this is meant to be an inclusive gesture: “These, too, are Frenchmen” — in which case it’s too little, too late in my opinion — or Duvivier is pointing to this other conquered nation and actually equating France and it’s colonies to Nazi Germany and its occupied territories. Which would be very interesting and provocative, and casts a different light on the racist remarks quoted earlier. The fact that these ambiguities exist, when Duvivier was certainly smart enough to eradicate them and create a full-on call to arms flick with no disturbing elements if that had been his goal, makes THE IMPOSTOR more uneven but also more interesting, more akin to the ambivalent and tormented cinema of poetic realism. Now I want to see more Gabin English-language films, but I CAN’T. HE NEVER MADE ANY.